Six years in, it still strikes organizers just how much Terrain has grown since its grassroots inception. Although it’s become a can’t-miss night for many local artists and arts supporters, “every year we all cross our fingers that people will actually show up,” says event co-founder Ginger Ewing. And each year, she and co-founders Luke Baumgarten and Patrick Kendrick have expected the number of art submissions and attendees to flatten out, but both have continued to rise steadily. 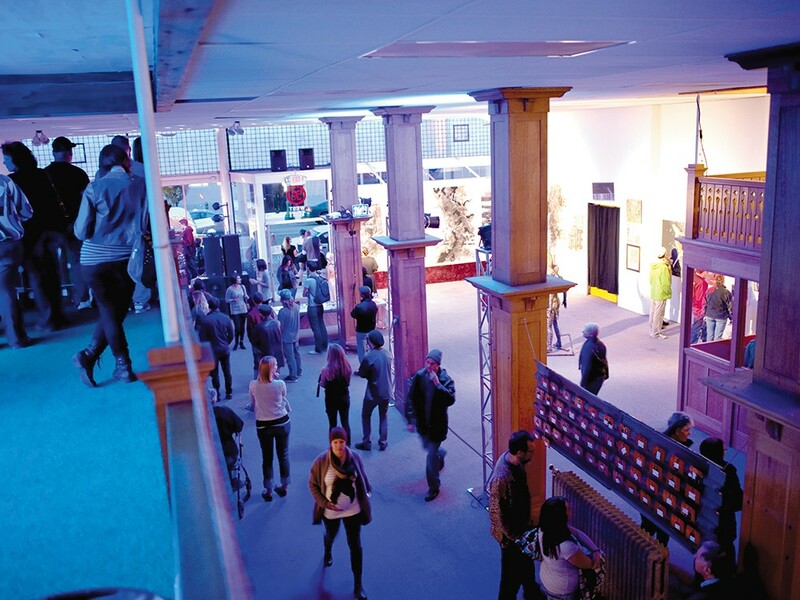 This year the annual, one-night-only showcase of emerging, local visual art, music, performance and interactive arts received roughly a third more submissions than last year from artists across the Inland Northwest, and some beyond. Naturally, as more artists across the region hear about the event and submit their work to the juried show, more curious people show up to find out what the hype is about. Baumgarten, a former Inlander staffer, estimates as many as 5,500 people attended Terrain last year. It’s unclear if that number will level off, but Terrain 6 is already the largest so far in terms of the amount of artwork both submitted and selected by the show’s jury of local established artists. More than 200 works of art from 103 artists are on display this Friday night, alongside film projects, live music, and spoken word and theater performances scheduled through the night. As it’s been for the past several years, Terrain is staged in an otherwise vacant and unused space on West First Avenue that once housed Music City Spokane. But because of past shows’ high attendance, Terrain has caught the attention of the Spokane Fire Department fire marshal this year, prompting some pre-event panic among its organizers. Initially there was concern that the top floor of the building — a raw space of exposed brick and wooden support beams — wouldn’t be permitted for use this year. But after some fire code compliance issues were resolved, the second floor can remain open, Baumgarten says. Another concern from the fire marshal is ensuring the building doesn’t exceed its maximum capacity (a number Terrain organizers are still waiting for). Baumgarten expects there will be lines of people waiting to enter during the show’s busiest hours, which continue past midnight. Taking safety and the event’s growing crowd into further consideration, Terrain’s organizers received permission from the city to close First Avenue between Madison and Monroe Streets to traffic. Food trucks and other local vendors, as well as some larger art installations, will fill the street, and there are plans to set up speakers outside to project the performing bands’ (see more about Terrain’s music lineup on page 60) sets outside.